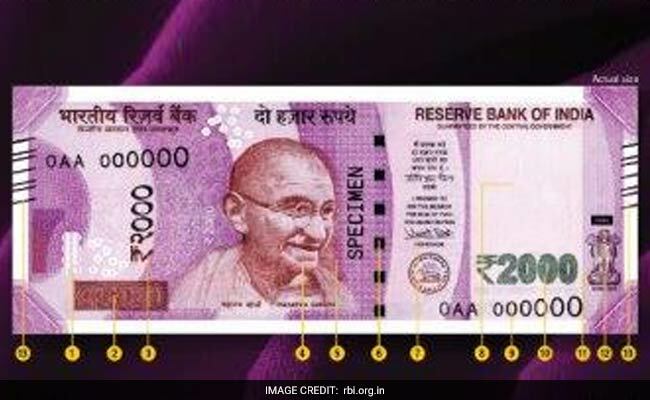 The RBI will soon be issuing ₹ 2000 denomination banknotes in the Mahatma Gandhi (New) Series, without the inset letter, bearing signature of Dr. Urjit R. Patel, Governor, Reserve Bank of India, and the year of printing '2016' printed on the reverse of the banknote. The new denomination has picture of Mangalayan on the reverse, depicting the country’s first venture into the interplanetary space. The base colour of the note is magenta. The note has other designs like geometric patterns aligning with the overall colour scheme, both at the obverse and reverse. RBI's website doesn't mention anything about the NGC chip embedded in the currency ... Seems like a rumour/fake news. Apparently, the new notes will have nano-GPS chips installed on them, for tracking. These chips will reportedly allow satellites to track the currency, even at 120 metres below ground level. Further, rumours say that the nano-GPS chips work without any power source, which is quite interesting if true. Moreover, the satellites will reportedly track large amounts of money stored at any place, automatically, and pass on the information to the Income Tax department. The department can then track such currency and recover it, if it’s found to be illegal. Removing the nano-GPS will reportedly render the currency unusable in the first place. Tracking currency may not be true, WHY ? World’s smallest fully integrated GPS receiver has been developed by OriginGPS Nano Spider, which measures 4 x 4 x 2.1 mm. Comparably, this device is really small (but not smaller than a currency note), and can open a new avenue of wearable devices – now this chip can track clothes, watches, electronic appliances and more. However thickness of 2.1mm is big to fit in a currency note which is 0.1-0.2 mm thick.